Choosing the right fire alarm for your premises can be a tough decision. 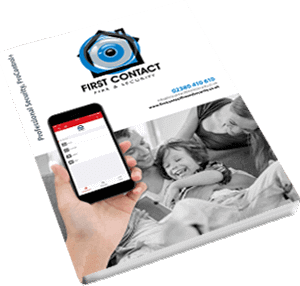 Both commercial and residential systems are available via First Contact Fire & Security’s fire alarm division. Our experts will advise you on the best approach to make sure your have an early warning system both locally onsite as well as offsite remote warning systems for quick fire prevention response. With the smaller properties we can consider a conventional system. This would mean if your fire alarm did go off then you would immediately know the zone (area) where the fire has broken out. We can also cater to merge all devices and sounders on each circuit (zone). This in our terms is called a two wire system and requires less cable and man power to install which would keep costs to a minimum. So whether its your home or business our system can be a great cost effective way to draw anyone’s attention to what could be the start of a fire. Our more specialist systems are aimed at the larger buildings. In a lot of circumstances a conventional fire alarm is not suitable due to a larger occupancy or areas with a high rate of false alarms. An addressable system will tell you the exact detector that has been activated or at very early stages of a fire it will notify you of a pre alarm. They offer flexibility, control and are more intelligent then conventional systems however due to this they are slightly more expensive. We work with two protocols for today’s fire alarms and we have found the most reliable is Apollo and Hochiki. Both catering to host many numbers of devices. Whether it’s an optical smoke a heat detector or a call point then this type of fire alarm will tell you which of these devices has a fault, been set off accidentally or worst case scenario a fire has broken out! Wireless alarms nowadays have come on in leaps and bounds. Very much like our addressable systems above but completely wire free. This not only saves time it also causes no damage to internal structures. 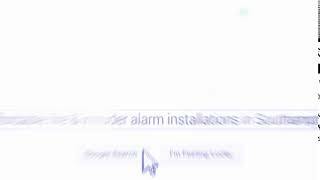 The alarm can have devices added onto the system with ease and in no time at all. Due to being wire free it means we wont be running any fire rated cables which lowers the cost of your installation. More and more properties are going wireless nowadays due to being as stable as a wired system! It keeps everything to a complete minimum and you can have a fire alarm you can be proud of. We can also add a wireless panel to an existing wired system. This is a fantastic way of upgrading without spending out more then you actually need and its also quicker and no extra cables are needed to be run. This is a great way to expand the fire alarm if your under pressure from your fire inspector. Once your system has been installed and commissioned we will hand it over with all its relevant paper work and demonstrate it fully. We will also offer you a service contract with your alarm to the minimum requirement. Don’t ever believe that you need to have a service every 3 months as you could be paying for something that is not required at all! Even if it’s a 230V smoke detectors for the home or adding a heat detector to an intruder system then we can also cater for you. or 07751 205 754. You can alternatively fill out our contact form on the contact page.